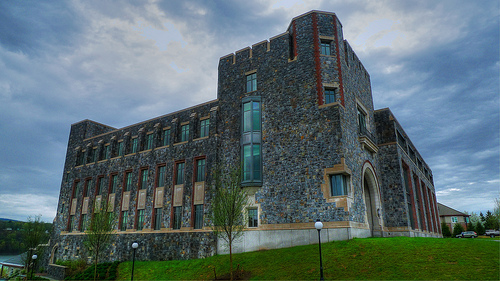 The Hancock center–complete with battlements–acts as the prototype for the battle-ready renovations hitting Marist. “The battlements atop the Hancock center are perfect for archers to rain arrows down from in the event that Marist is attacked by ranks of ironclad mercenaries,” says history major Marvin Hughes, adding that these slots in the stone were likely designed to ease the process of pouring boiling oil on foreign invaders. Students and professors alike share the belief that the redesigned cafeteria is specifically designed as a community gathering place when Marist students get holed up inside for months during next year’s impending siege. History department chair Dr. Marshall applauds Marist’s foresight, emphasizing the fact that though the chandeliers are fit for the hall of a monarch, architects left plenty of room in the dining hall for a court jester to perform.